I'd originally intended to make Itopia into a game on PlayMyCode, but unfortunately, HTML5 performance isn't quite good enough (and is seriously rubbish when using Firefox!) to warrant any further development. 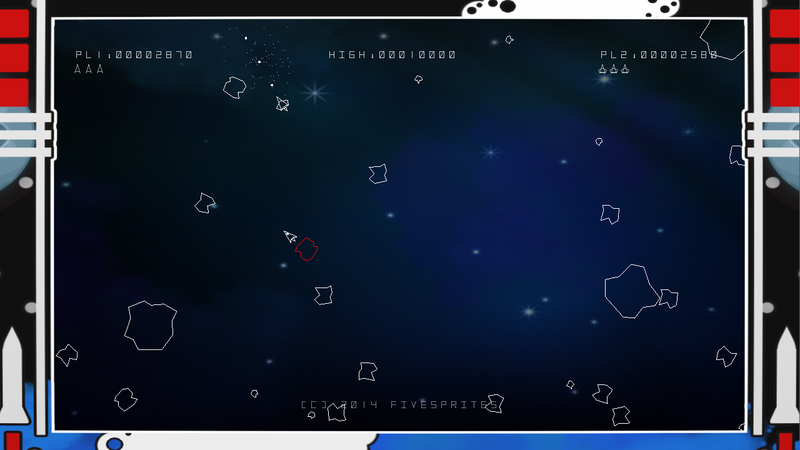 Instead I've moved it over to a desktop version (using libGDX) and will continue from there. I'm now rebuilding the assets so they're more in keeping with the new look. But what of Itopia on PlayMyCode? Well, until performance improves (not a fault of PlayMyCode I might add) then, not much. Instead, I've decided to break the code down here for anybody that's interested. The code is structured in the same way as I do all my projects on PMC. There's the globals at the top, followed by the main game loop, defined by the onEachFrame() do |delta| . The remainder of the code comprises all of the classes used (described below). This code is pretty interesting and is something that Joe (one of the PMC developers) showed me. It turns out that the setColor(...) and drawImage(...) functions, when combined, are very expensive in performance terms. Instead of using setColor() it's better to pre-colour your images. Now, instead of using setColor() within the main code, we just use one of the pre-coloured images instead. The main loop provides one parameter, delta in its block and is used to adjust the timings for entity movement. (see getDelta() in the reference documents). The setBlend(:add) is important here. This defines that we want to use additive blending when drawing images. Additive Blending is where the RGB colour elements of one image are added to the RGB elements of overlapping images. If the two images are identical (in terms of colour) then when overlapping they will become brighter. Itopia uses this to great effect, but the downside is the cost in performance. In the demo, try creating a large number of jellyfish - you'll soon see the FPS plummet! The above lines instruct the game class to add a new entity - a jelly if the left mouse button is pressed and a red devil if the right mouse button is pressed. The above informs the game object that it must update and then render all of the entities it knows about. These last lines draw our temporary canvas to the screen. The game class is the controller for all of the entities and related actions. Itopia isn't really a game yet, so this is fairly simple. This is then accessed from within the main loop, the key elements being the update/render calls. The constructor for the game class defines an empty array for all of the entities. As the Jelly and RedDevil classes are actually sub-classes of Entity, we can manage them as Entity classes - no need for separate arrays for each type. We also create an instance of the Dust particle generator. Note, unlike the update() function, the render() function doesn't use eachIndex but uses each instead. This is because all updates have finished so no objects will be added/removed from the array. The remainder of this class is just helper methods that are used to add or remove new entities, be them jellyfish or red devils. In game development, it's often the norm to create an Entity class that encompasses many of the common elements associated with (most, but not all) of your game "things". In Itopia, we have the Jelly and the Red Devil. Both of these are entities and exhibit similar characteristics. Now, it would be pretty silly to have the identical code in these classes for such things as location, velocity etc. Instead, we have an Entity class that includes all of these common parameters. The class itself should hopefully be fairly explanatory. Ok, time for the interesting bits! Each jelly will have a number of tentacles attached to it. The @tentacles array holds all of them. In this demo, a jelly has three tentacles and they are created (using random length and initial time component) and pushed to the tentacle array. As described in the code comment, the @time variable is a function of a simple math equation that governs the movement of the jelly. Giving it a random number has the effect of positioning the jelly at a different location. The @speed variable governs how quickly the jelly moves about the path defined by the math equation given in the update() function below. // Is it time to adjust the speed? This is the main update function for the Jelly. The movement is controlled by the mathematical equation that is really just an wonky looking sine wave. Try drawing the points generated by it and then drawing a line between them to see how it looks. Also try adjusting some of these values to see what happens! Once the new position has been calculated, each of the tentacles are updated - the head of each tentacle is always at the same position as the head of the jelly. The tentacles are drawn first (by issuing a render() call on each tentacle). Following this, a couple of (fairly dim) blue blobs are drawn to define the head of the jelly. This should really look a lot better, but is ok for a first attempt! The tentacle class is probably the most complicated part of the project, but even so, is still very simple. If you want a better understanding of the math used in both this and the Jelly class, try breaking each of the movement equations down and plotting them out. Playing with the numbers within here can end up with some pretty wacky behaving tentacles! As with the jelly class, the movement is partially controlled by a function of time. This time is incremented based on the speed of tentacle movement (which in this case is fixed at 0.005). The very first node of the tentacle must always be the same as the head of the jelly - otherwise it would look pretty strange, having tentacles appearing all over the place! The position of all subsequent nodes of this tentacle are updated based on the position of the first node. The following loop iterates over each node (except the first one as that was defined above). Ok, the above looks a little strange. What we're trying to do here is determine the distance between the current node and the previous one. Knowing this will allow us to move it by a small amount in the correct direction. However, you'll see in the code above that I've commented out the line with the sqrt() operation! As performance was an issue with this demo I tried all sorts of ways to improve it. The sqrt() operation can be fairly slow so I opted for a simpler, although prone to error and less accurate, approach. We could just leave the movement as above, but it doesn't really look like the movement of a tentacle - I wanted something a bit more believable, so the following two lines add the necessary "wiggle factor". This should be fairly self explanatory. For each node of the tentacle, we draw a fairly faint blue blob, the size of which is defined by "s = 1 + (0.5 * (n * 25).toRadians().sin()". This creates the "bulges" in the tentacle. If the index of the current node being drawn is the same as the @bright or @bright2 variables, then we draw the blob image with an alpha of 1.0 (making it really stand out). If it's neither of these then we just draw a slightly dimmer blob image for this node. I won't go over these here as they're very similar to the Jelly/Tentacle classes. In fact, the RedTentacle class is a sub-class of Tentacle, but overrides the Render function to draw things a little differently. Having a plain black background proved a little boring so I added a small effect which randomly places tiny particles all over the screen. Each of the particles will have a random alpha level and will move about, very slowly, until it's life is over. When a particle eventually dies, it resets itself - having new random parameters. Doing this, rather than creating a new particle, reduces the CPU overhead as we're not creating or destroying resources. The Dust class is merely a container for all of the particles. It has one render(canvas) function that will iterate over all of the particles, updating them first and then drawing them. Well, that's about it. Feel free to ask any questions and I'll do my best to answer.